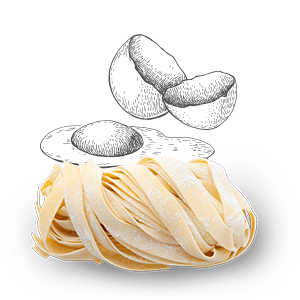 Specialized in the production of fresh pasta, with and without eggs, and ravioli, agnolotti, gnocchi, noodles and plins (pinched agnolotti) made on a daily basis, and many typical recipes from the Italian tradition. 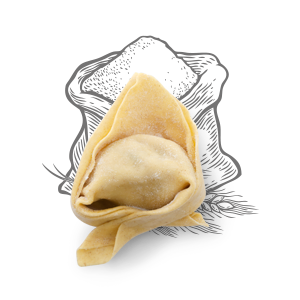 Filled Fresh Pasta is our strong point, Agnolotto Gran Torino is our main specialty. We also offer a variety of fillings and forms that is truly unique. 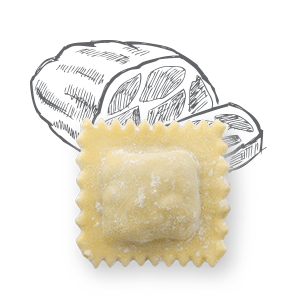 From classic noodles to orecchiette to paccheri: these are just a few examples of the creative power and imagination of our country in culinary art, which Pasta & Company proposes in all their originality. 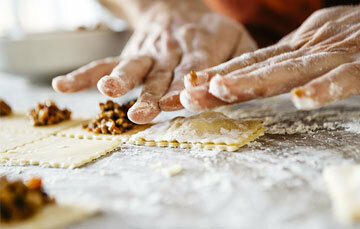 What makes Pasta & Company products truly special is curiosity mated to a desire to experiment. 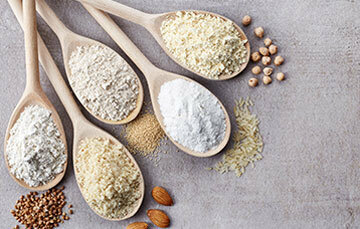 This is the reason why we use various types of flour with recognized and extraordinary nutritional properties. 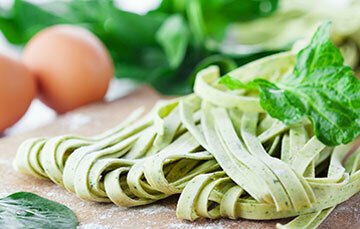 Pasta & Company also pays undivided attention to the ingredients we use. We have created a range of Dairy free products. In this section you can find a selection of these products. A touch of craziness between tradition and creativity, to create unique and original combinations of flavors, innovative and special types of pasta, flours and fillings to satisfy the most demanding palates. 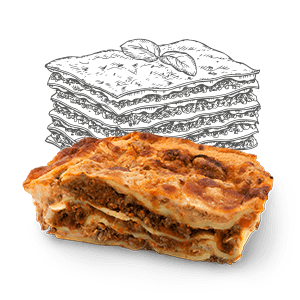 A wide choice of gastronomy products ranging from lasagna Bolognese to rice balls, to vegetable pies, all of them proposed in dozens of appealing and special variants. in the main squares in Italy and abroad. 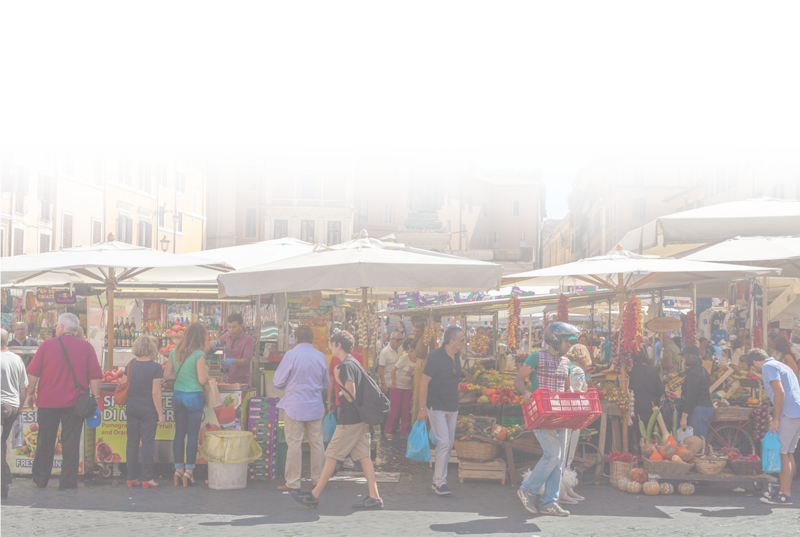 We were born in the marketplace. We have grown dealing with demanding customers who have encouraged us to do more, do better, day after day, with their heartfelt praise and, at times, their frank criticism. Since those early days, many things have changed. Our stalls have multiplied from one to over a hundred, and from Italy we have arrived in France, Germany, Austria, Switzerland. Even artichokes have a heart… and don’t we know it! New P&C product family members! Welcome truffle arancini and lasagna! 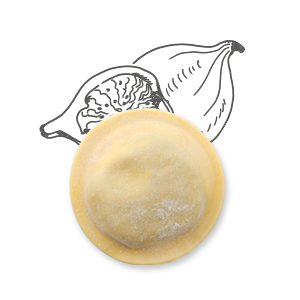 Pasta & Company is an artisan fresh pasta (with or without eggs) maker, producing a variety of recipes and forms made on a daily basis and based on the Itaian regional tradition, such as ravioli, agnolotti, gnocchi, tagliatelle and plin (pinched agnolotti). The new Pasta & Company website is on line! 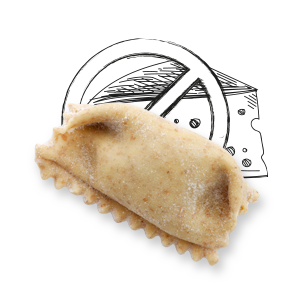 2018: The new operational headquarters of Pasta & Company will be in Orbassano! All the goodness, with care.